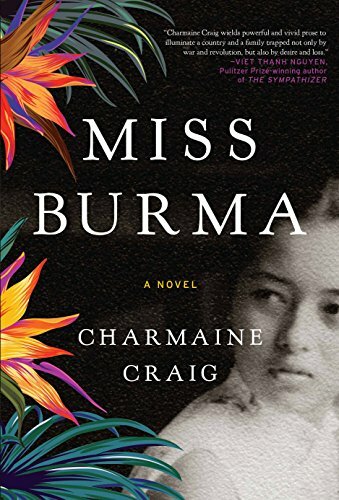 As Burma emerges from years of military dictatorship, this novel provides a timely insight into the troubled recent history of this Southeast Asian country through the fictionalized story of the author's own family from the 1920s to the 1960s. The astonishing true events of the life of the author's mother, Louisa Benson— beauty queen turned freedom fighter—provide the book with its title, and its powerful opening and closing scenes, the former at a beauty pageant, the latter on a battlefield. But the narrative is centered on the heartbreaking story of the relationship between Louisa's parents, the author's grandparents, Benny and Khin. In a country that has long been and still is plagued by issues of ethnic conflict, Benny and Khin reflect the diversity of the Burmese people: He is Jewish, of Indian origin; she is from the indigenous Karen tribe. Benny falls in love with Khin at first sight but the unfamiliar rituals of their quickly arranged Karen wedding "only increased Benny's sense of being an outsider and alarmingly ignorant of his new bride's history and culture." In the early days of their marriage the two don't even speak the same language, but their stilted communication is more than verbal: ". . . gazing into her sweetly peering eyes, he often felt locked out of a place to which he'd never be permitted entry, because she was Karen, and he never could be." But there is another reason for Khin's distance from Benny: She is living with the guilt of being the only member of her family to emerge physically unscathed from an attack on her childhood home by bandits that left her father dead. One wonders whether Benny and Khin would have been able to overcome the universal problems that face young married couples getting to know each other had they lived in less turbulent times. But married in September 1939, it is impossible to separate the course of their marriage from the course of political events in Burma and the world: the Second World War, the Japanese occupation of Burma, Burmese independence from the British in 1948, followed by decades of civil war. All of these events—bringing with them poverty, evacuation, political imprisonment, and long periods of separation for the couple—damage the marriage beyond repair. As the novel progresses, and Benny and Khin's relationship continues to disintegrate, the political takes over the narrative. The focus is increasingly on Louisa, who marries Lynton, leader of the Karen National Liberation Army. When Lynton disappears, rumored dead, she knows she has to take on his responsibilities. As she puts on army fatigues and cuts off the hair that brought her success as a beauty queen, she thinks of her father Benny "when he would stub out his cigarette or throw a glance out of the window, as if to throw so many punches at an obscure fate. 'If you aren't prepared to fight against injustice—if you aren't prepared to risk everything to defend the liberty of all human beings—' She was the completion of each of her parents, as much as she was now the completion of Lynton—dead or alive." "If we look past our petty proclivities, past our troubled history; if we see the broader common goal, everyone with an eye to democracy . . . If we find a way to come together, they won't be able to stand in our way." Cathy Layne edits fiction and non fiction across a broad range of genres, specializing in topics of Japanese and Asian interest. She lives in Bangkok where she currently works as a teacher and freelance editor.